As Game of Thrones fans wait with bated breath for the final half-dozen episodes to premiere on HBO starting April 14th, its cast has already completed the epic fantasy story, and are now simply enjoying life, wandering the streets in possession of every remaining plot secret. Taunting us. Yes, we’ll admit that filming one’s own celebrity appearance for the ‘Gram is...quite a choice, but we at The Takeout feel like anybody who’s had to put up with Stark-level family moping for this long is more than entitled to a victory lap. Also, Sophie, before we part ways: The North remembers, and The Takeout likewise remembers your too-brief stint as a pre-eminent Internet sausage critic. 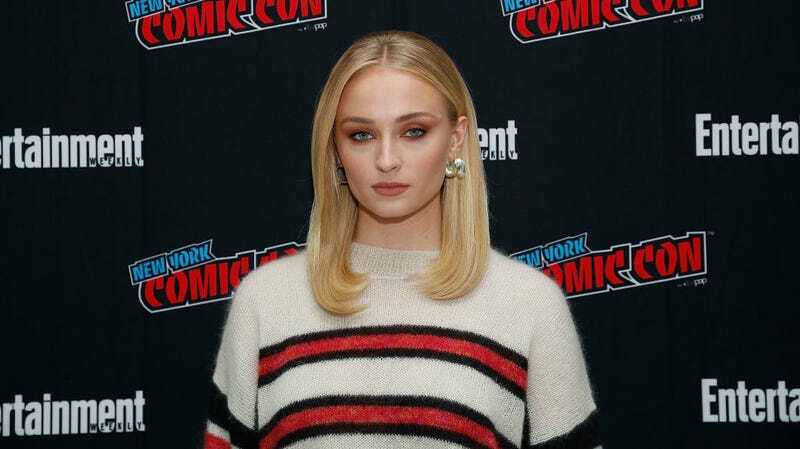 The Instagram account @sophiessausagereviews has been notably on hiatus for nearly a full year, 11 months of Sophie Turner not contributing to the online cased-meat dialogue. Particularly with your series coming to its end soon, The Takeout would like to offer you a home for any and all future contributions to the field. The position of Sausage Bureau Chief isn’t going to fill itself. Why can&apos;t we have a mimosa food truck? What’s the ideal way to butter movie theater popcorn?